Becky works in the field of inclusive education and training. She is currently the Program Coordinator for University 101 – a free, non-credit course for students who have faced barriers to accessing post-secondary education. Becky also runs Diversity Education workshops for many organizations, including the UVic Equity and Human Rights Office. She has also facilitated Outdoor and Environment Education programs with both the Calgary and Vancouver YMCAs. Rebecca is trained as a CTI Co-Active Coach and works with the Emotional Intelligence Training Company. She appreciates the power of this model of coaching, and its emphasis on values and perspectives. 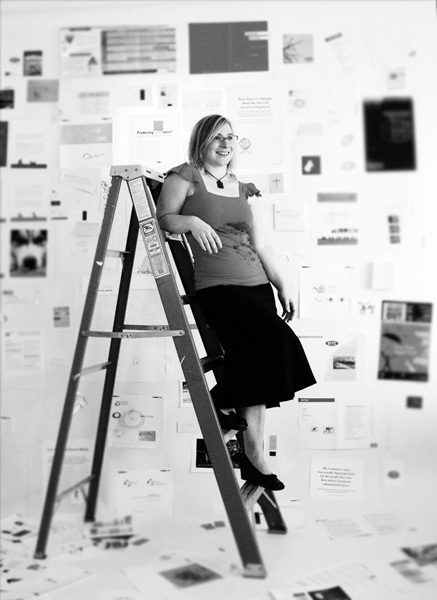 Becky is a founder of a small design and communications firm, Pink Sheep Media. She contributes her leadership, talent for communication and brand management, and relationship building skills. She has an MA in Community Leadership and Adult Education and has an Honours BA from UVic in Women’s Studies and Political Science.